Muvi offers fully-featured, white-labelled LG TV App. The LG TV App has all the same features as the website – user registration, login, search, filter etc. We support web-OS 2.0 and above versions for LG TV App. To develop your LG TV App, you need to provide us necessary information through the CMS. 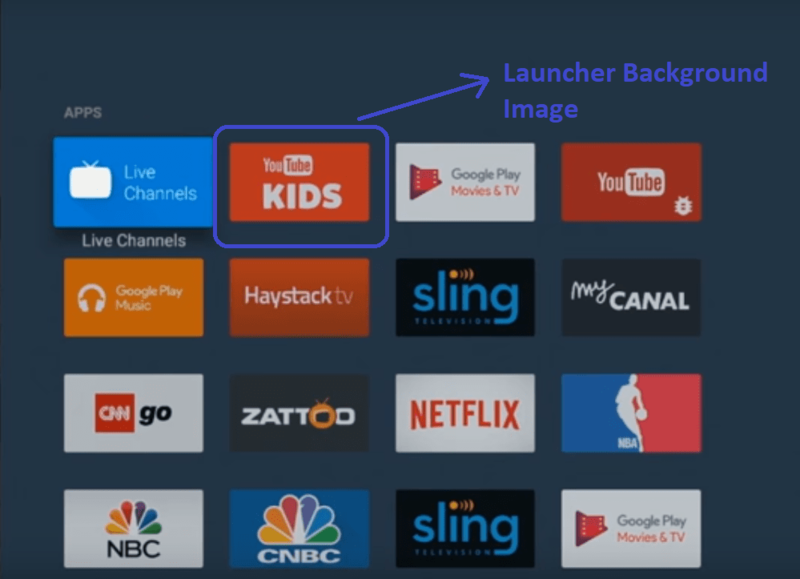 Please go to “Mobile & TV Apps” -->” LG TV App” -->"Publish to App Store" in the CMS. Click on “Upload App Icon ” to upload an icon for your App (App Icon is a small image that represents your App in the App store and after you install the App it shows your App on the device) (You can upload .jpeg, .gif, .png and. svg images with dimension 400x400 px. However, if you are uploading. svg images then you will not able the crop the image and few old browsers do not support this image format) See below screenshot. For “Drawer Logo”, you need to upload a portrait image and landscape image. Click on “Upload Drawer Logo” to upload the logo image. (For portrait please choose a png image with dimension 60x50 px. 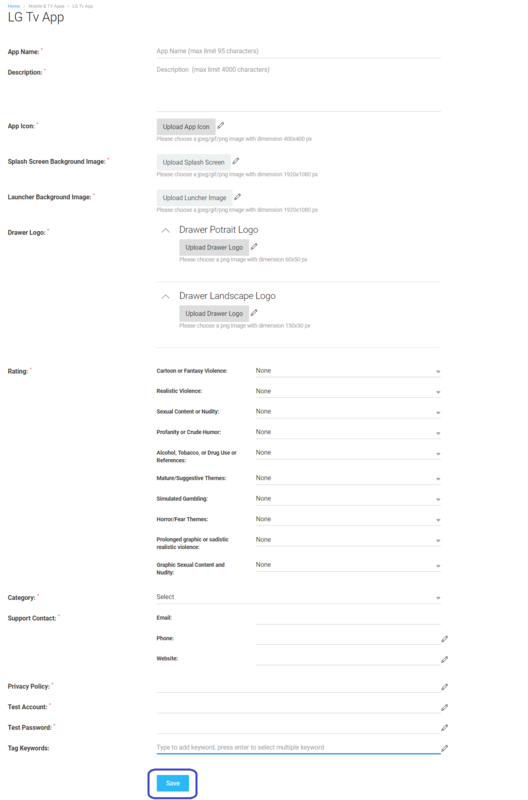 For landscape, please choose a png image with dimension 150x50 px. Fill up the “Support Contact” information (i.e. Email, Phone, Website) This information will be used by your users incase they experience any issue with your app. Type the “Tag Keywords”. This will help to find your app in the search. To add multiple keywords, you need to hit enter after typing a keyword. All this information will be stored in our database and we will develop the LG TV App based on the information provided by you. Once the app development procedure is completed, we will send you the .ipk file for testing the App. We will publish the App Store either by using our Developer’s ID or by using your Developer’s ID. If you use your Developer’s ID, then the App will show your company or brand name in the App Store. If you want to use your LG TV Developer’s ID, then create an LG TV Developer Account. Muvi maintains the LG TV App on an ongoing basis. It includes making updates and patches as required to support new app versions and devices.